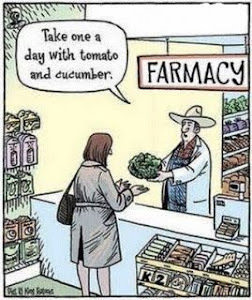 There is a fabulous healthy eating blog I follow called Nurturing Naturally. The blog authors recently came up with the idea for a "Recipe Test Tuesday". They will post a recipe on their blog (and link it to Facebook if you're on there) and if it looks like something you'd like to try out, you make the recipe and then report back with your thoughts. It's a great way to test out new recipes and get to know more people who also enjoy cooking/baking! I'm excited to be a part of this, as I love trying new recipes and getting to know more like-minded people. The first recipe they posted was for Gluten Free Carrot Cinnamon Muffins. Since the original recipe was already dairy-free, it was pretty easy for me to make it vegan. I actually enjoyed the challenge of not only subbing out the eggs, but also making this refined-sugar free. I went through my vegan substitutions cheat sheets, put my thinking cap on, and got to baking! *Please note that my version is not Gluten-free, but it is refined sugar & oil-free). I will discuss my substitutions below. Preheat oven to 350 degrees. 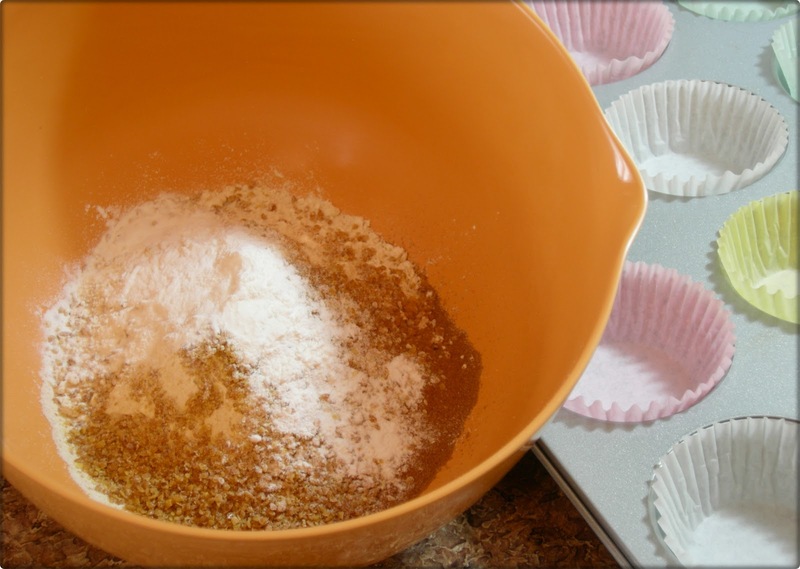 Grease a muffin tin, or line it with baking cups. Mix together the flour, flaxseed, cinnamon, baking powder, baking soda and salt. 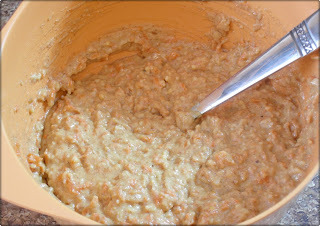 In a separate bowl, mix together the applesauce, maple syrup and grated carrots. Mix the dry ingredients with the wet ingredients until just combined. 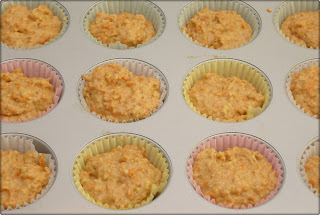 Spoon batter into muffin tin. Bake for 20-22 minutes, until a toothpick inserted in the center comes out clean (mine took 21 minutes). 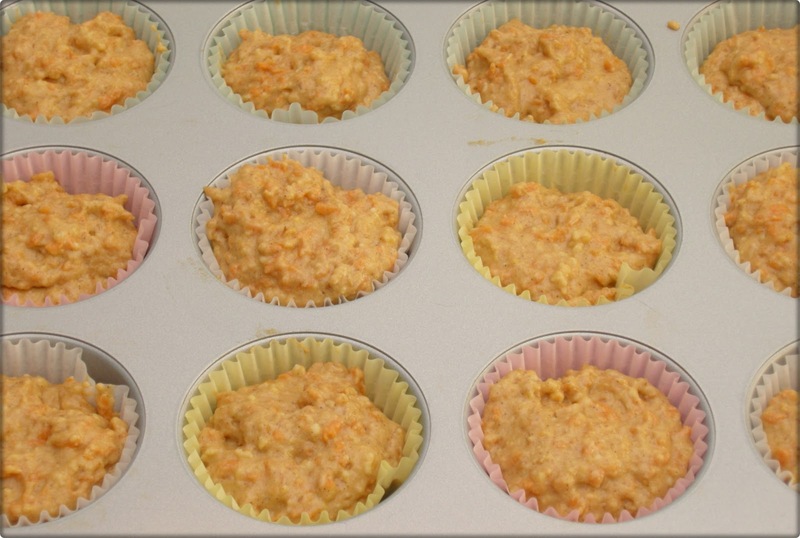 Cool in muffin tin for 15 minutes, then transfer muffins to a wire rack to cool slightly before serving. Excuse me while I devour one...or two.... YUM!! I'd like to discuss my substitutions since you might be visiting me from Nurturing Naturally and want to know the "whats and whys" behind my recipe adaptation. First, I didn't use gluten-free flour because I didn't have any on hand. 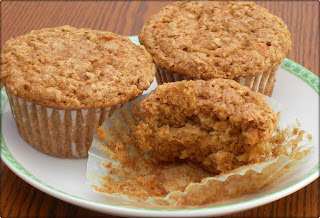 I was therefore able to eliminate the need for Xanthan gum since I read in the comments section in the original recipe link (here), that it's used to give gluten flour more of a regular flour type consistency. Second, since I'm vegan, I wanted to use an egg substitute. There are many options for that, but I settled on applesauce. I typically use a "flax egg substitute" (1 tbsp flax + 3 tbsp water), but this recipe already contained flax so I wanted to try something different. 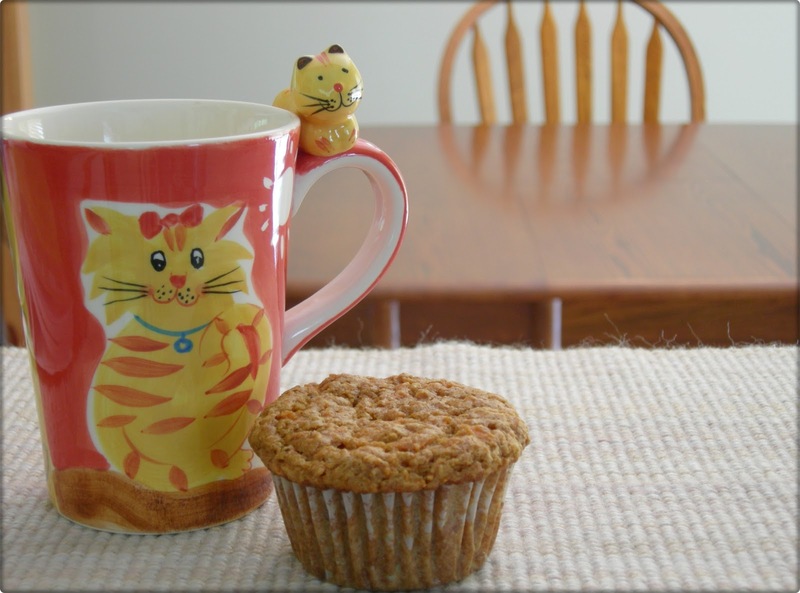 Besides, the thought of applesauce in a carrot cinnamon muffin just sounded right! :-) You can use 1/4 cup of applesauce per egg. 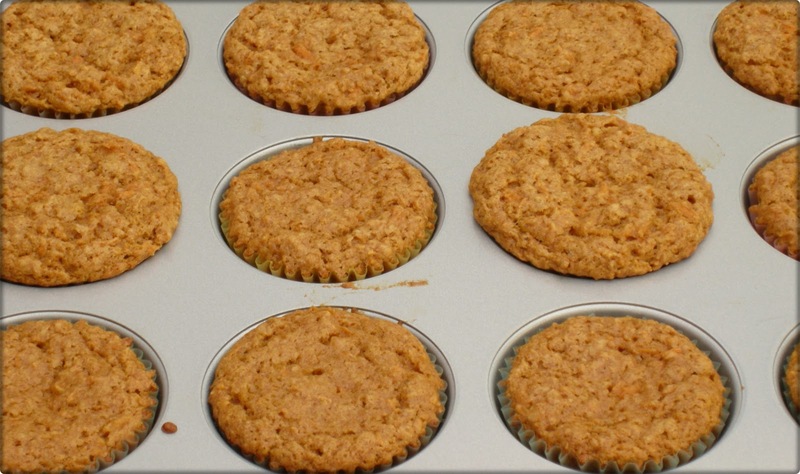 You'll want to increase your baking powder by 1/2 tsp to help obtain a lighter texture in your baked goods though. Third, I like to stay away from refined sugar whenever possible so I typically use maple syrup in my recipes. Substituting liquid sweeteners for regular sugar can be tricky. You can do it cup for cup, but you want to make sure that you either a) decrease other liquids by 1/3 cup, or b) increase your flour by 1/4 cup. Since I used maple syrup, I eliminated the 1/3 cup Rice Milk from the original recipe. These turned out melt-in-your mouth moist and delicious!